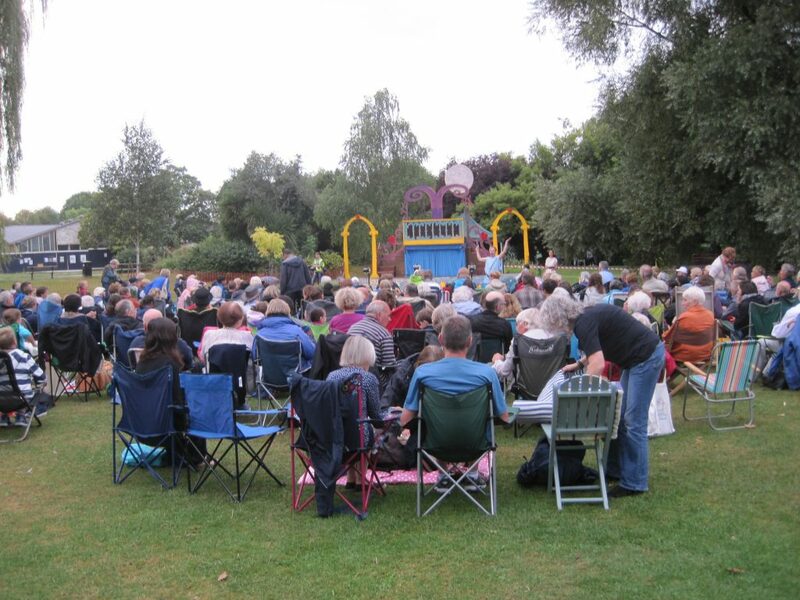 Pinner experienced a new first on Sunday 28 August – a performance of A Midsummer Night’s Dream by the Illyria Players in Pinner Memorial Park. The dark clouds of the day started to disperse as evening approached and the large crowd assembled. Their kind support was rewarded with the funniest and most accessible performance of A Midsummer Night’s Dream. Everyone was entranced, and nothing but words of praise were heard as people wended their way home in the dark through the park. The organisers – The West House & Heath Robinson Museum Trust – may well have started a new tradition.